This is a guest post from CEO of Franchised Food Company, Stan Gordon. Company culture. Is it really that important? A well-managed team and proactive employees are the perfect ingredients for a solid culture, and positivity in an organisation is of the utmost importance for its overall success. Why? Well, if your team is going through the motions and doesn’t really give a damn about your business, it’s inevitable that it’ll feed through to those on the outset. Managing a team, and doing it well means you can create a positive workplace, change any preconceived ideas and negative perceptions, and work to ensure a better job environment for everyone concerned. Remember, without good people, you’ll struggle to have a good business. 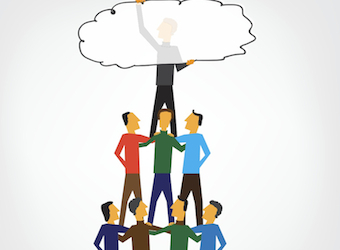 So when it comes to managing a team effectively, here are some things to put on your radar. You’re a leader for a reason! A good manager is able to instruct fellow employees and communicate overall company focuses, goals and messages, as well as being an open ear and sounding board for their team. Determine how your employees work best, and how they like to be communicated with, and play to each individual’s strengths. I’m a strong believer in making time for regular catch-ups with your team so you can actively listen to their concerns, their wins and successes, suggest solutions and offer advice. Always be approachable and active. You get ahead by helping others get there, not by fighting your way to the top alone. Think about what makes your team tick. Knowing your team and what gets them out of bed in the morning is very important, and the benefits are far greater than a topic for small talk while you’re waiting for your morning coffee. Good team management is all about making time for your staff, continuing to liaise with them and rectifying any issues that arise as quickly as you can. Use this to your advantage to continually motivate your staff when enthusiasm may be lacking. Perhaps there is an incentive you know a particular staff member just can’t pass up? Push your team to work hard and strive to achieve. Prove that they are valued members of your organisation by making goals accessible, offering opportunities and incentives that are of benefit to them! The need to feel important is natural human instinct. Most people want to receive respect and recognition; not just in the workplace. Keep this in mind when you’re managing a team. Continue to evaluate whether they feel valued by you and your business; determine what is working and make adjustments in areas that may not be operating at their optimum. And lastly, but definitely not least, is that thing called personal development. Part of being an effective leader is about being able to evaluate yourself, and about having the drive to better your interactions, goals and focuses and improve your overall management style. Seek personal improvement by taking part in development programs, read, and take advice from people everywhere. It’s amazing what you can learn from just about anyone. Keep an open mind! Efficient and successful management is all about learning, evolving and adapting – and if the manager can do this effectively from the top, it’ll naturally filter through to the team underneath them. Remember, you can’t do it alone, but with a team of good people behind you, your ability is greatened and you really can achieve so much more.